Christmas is almost here and in these cold winter days it’s nice to warm up with a nice cup of tea. With the holidays on the way or maybe already here it’s time to relax and enjoy the great tastes fitting the winter. Here are a few nice winter tea tips based on ingredients that will please your senses during these cold winter days. Cinnamon is a really well-known sweet spice which you will probably recognize immediately if it’s processed into something. The characteristic pungent taste and scent are caused by the main component, cinnamaldehyde, an oilish substance present in the bark. Cinnamon easily blends in with other flavors, which also makes it perfect for tea blends. The aroma in tea is often described as warm and earthy, which makes it perfect for these cold days! Cloves are a strong spice often used to flavor meats or marinades. This spice is often added in small quantities, to prevent the strong taste of the main component eugenol to take over. Cloves go really well with other characteristic flavors added in winter teas, such as vanilla and orange peel. If I had to describe the presence of cloves, it will be the little briskness in tea you won’t directly taste. Orange peel is together with a lot of other citrus fruits a well-known ingredient to add flavor to sweets and pies. It’s obtained from the most outer part of the orange “skin”, which is called the flavedo. Probably everyone knows that the taste of the peel itself is quite bitter, but in combination with sweet tastes this will give a nice touch. Another ingredient that is fulfilling an important role but won’t be directly tasted. This little orchid’s flavor is added to such a great amount of A natural sweet flavor added to such a great variety of products. Also when added to a blend, it goes with every type of tea. It’s flavor is described as “natural sweet” and is often associated with relaxing and warmth (which is great for the cold winter holidays). 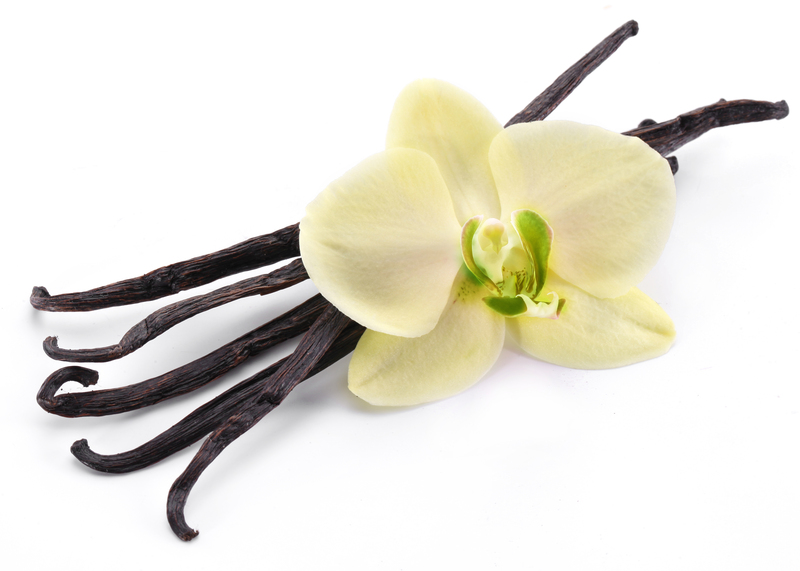 Vanilla has a really present taste in tea and makes up a big part of the total scent and taste of the blend. For the “sugar lovers”! This Chinese spice closely resembles anise in flavor, which is caused by the main component of both spices, anethole. It’s described as really sweet and aromatic. Star anise has a lot of medical purposes, like it is a possible main component for the primary chemical compound used in anti-flu drugs (could be great in the winter I suppose?!). Star Anise has a really characteristic taste you will probably recognize in a tea blend. Almonds are seeds of the “almond tree”. We know them as the roasted sweet nuts you can eat or use to bake delicious cookies. Milk made from almonds is used as a substitute for normal milk, for lactose intolerant people. The almond flavor in tea is often described as nutty, raw sweet and giving the blend a creamy touch. It really depends on the blend if the taste of almond is dominating or not. Ginger is a hot spice with a really strong taste. 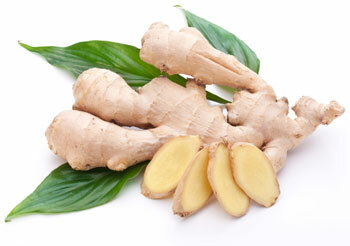 It’s used to flavor a wide variety of dishes and delicacies, like the well-known ginger cookies. Ginger is often associated with stimulation of the mind. When in a blend, it might depend on the other ingredients, but often people say they can distinguish the characteristic spicy ginger flavor in tea. It is said to really amplify the flavor of tea, for the lovers of strong taste! It’s name is derived from Greek, with as literal translation “sweet root”. Liquorice can be eaten directly as a sweet, or made into the well-known Dutch sweet “drop”. 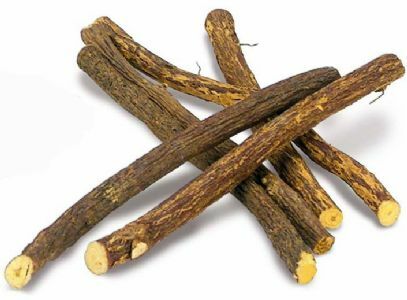 The sweetness in flavor gained from this root is really characteristic. Liquorice herbal tea itself is described often as a more nectar-like tea with a really nice aftertaste. Depending on the amount used, it can make the body of the blend somewhat viscous. ← VN Collection: Christmas mail!